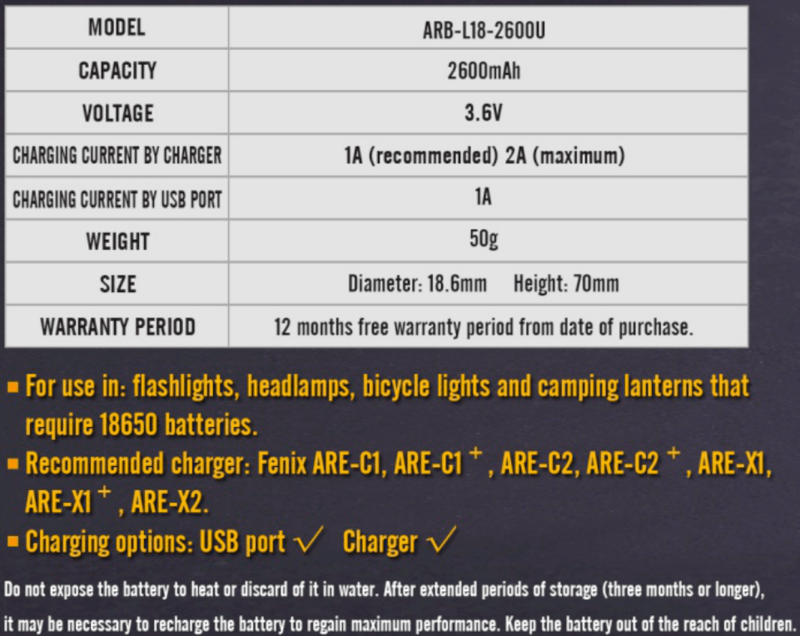 The Fenix ARB-L18-2600U 18650 Battery is officially released today! This new battery is micro USB as well as ready to charge within a charger. Notice: The price is $11.95 for one battery. Packed one battery per package.